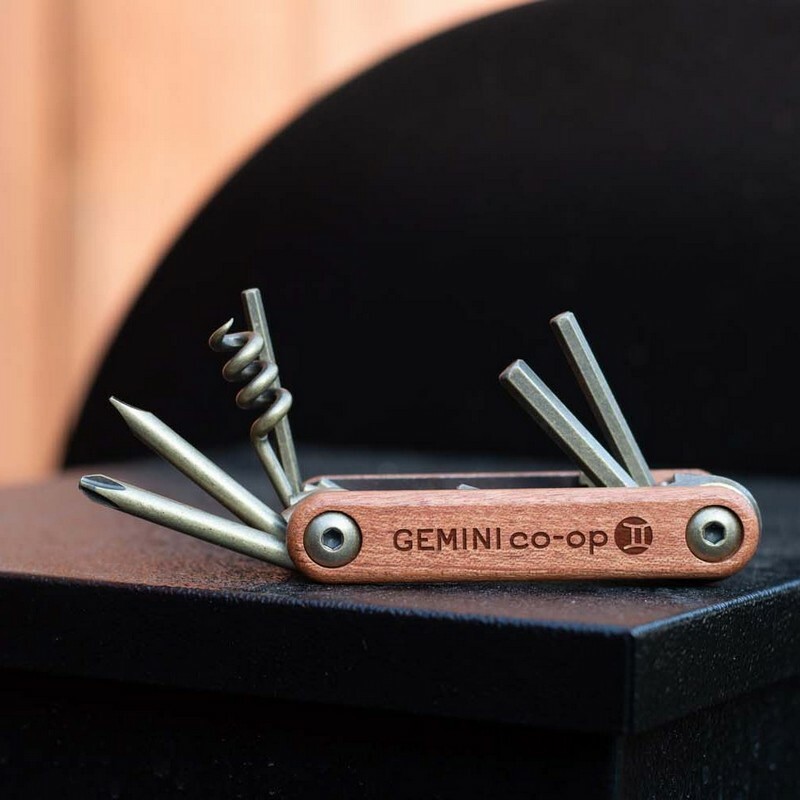 All the tools you need packed in one pocket-sized piece. 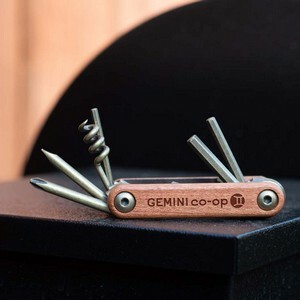 The Finley Mill Multitool includes six different Allen wrenches, a bottle opener, Phillips and flathead screwdriver, and corkscrew. All enclosed in a beautiful laser engraved rosewood case. All tools are steel.